London has turned out to be one of our very favorite cities in Europe, although we did find it to be much louder than expected. I had been to London multiple times in my younger days and somehow don’t remember it being as crazy as NYC, but it most certainly was! 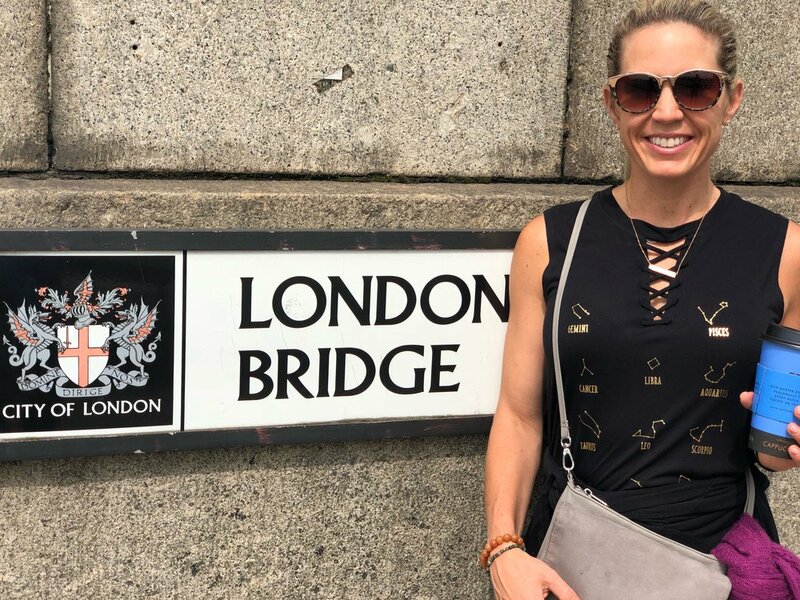 Despite the fast pace and super crowded streets there is much to love about London and all of its different districts and neighborhoods. Ryan and I visited London this year at the end of May, and found the weather to be super mild and a bit rainy. We needed light jackets some of the time, and were able to walk around comfortably. 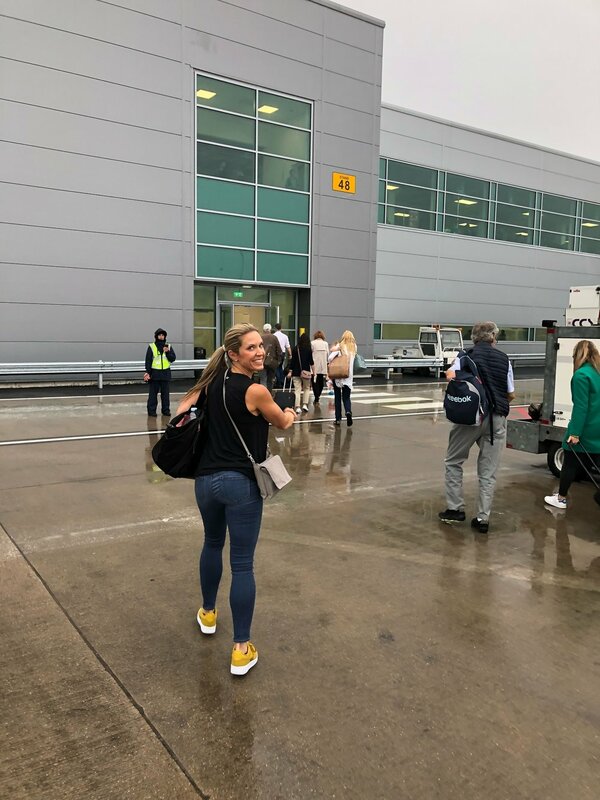 We happened to have been country hopping, and flew into London Gatwick airport from Florence, Italy as we were there for our cousins’ wedding. We love being able to get around so easily once in Europe and had no issues with our travel. Once in London, we took a train into the city and were booked at an AirBnB in the Brixton neighborhood. 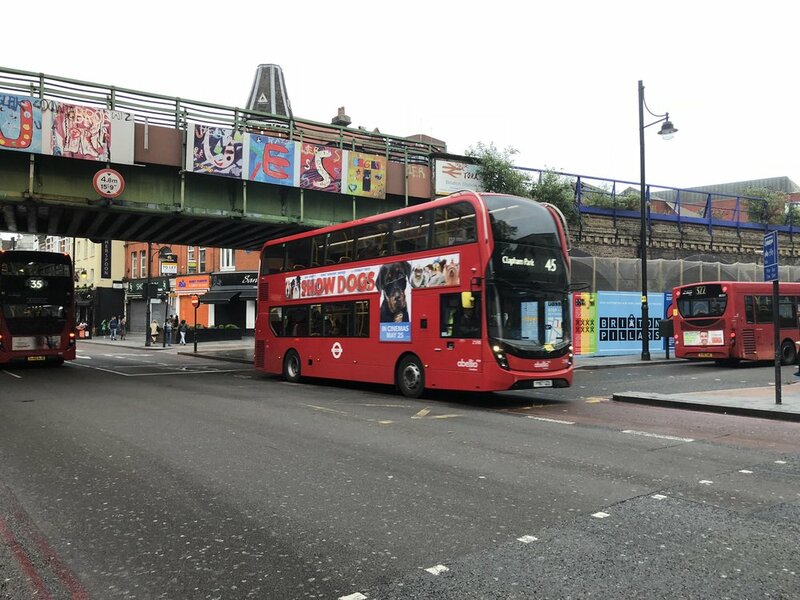 Brixton is a district, and a last stop on the Victoria Line (London Underground) in the main part of central London, so it’s “out there,” but certainly not so far you feel out of the way. It’s VERY affordable and super eclectic. There is a Caribbean influence there that makes it so unique, and you cannot go wrong ordering Jerk Chicken anywhere! (quite the interesting mix, literally London meets the Caribbean!) Of course the beverages are always tasty as they are in most places in London and we were then off to do some initial exploring. 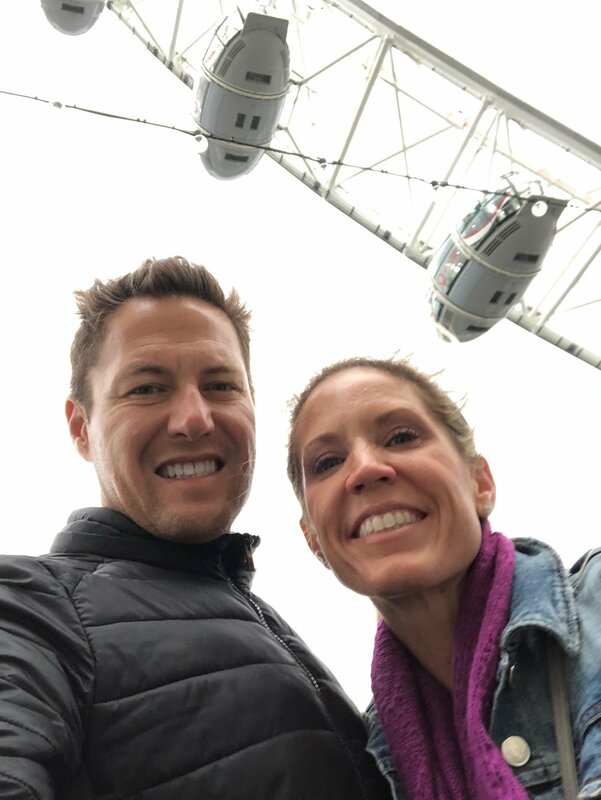 First stops for us were the London Eye as well as to catch some photos of iconic London “things” - the double decker buses, bright red telephone booths and of course The Underground. Once upon the London Eye you realize just how huge it is. 20 or so people fit in each pod! We decided not to go up in it this trip as I had done it before and Ryan wasn’t all that interested, but it was a beautiful place to just walk. We came upon the Parliament buildings across the river. 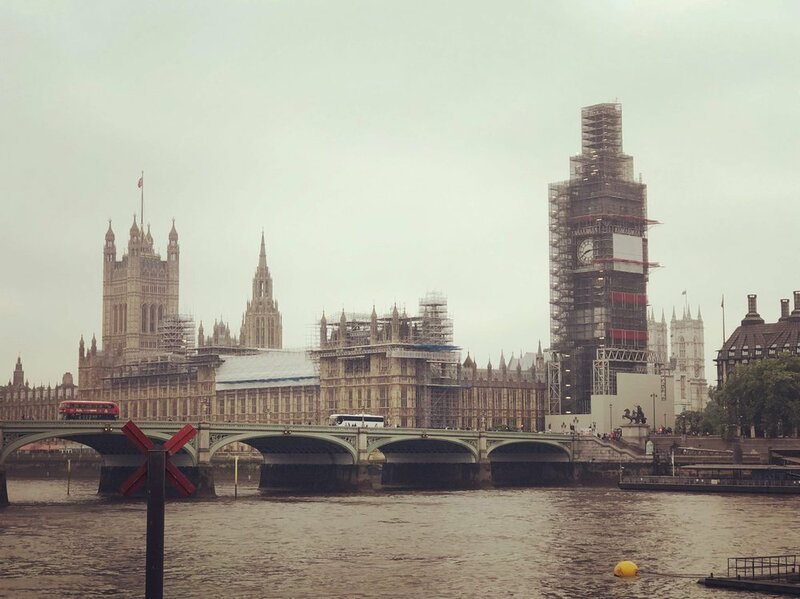 Big Ben was getting an overhaul. The rest of that first evening was spent just walking. It got really chilly so we headed back to Brixton to get some good rest so we could be ready to see more the next day. We highly recommend using using a tool like Google Maps to plan out your day before heading out. Ryan is a pro at this so we could make the most of our few days in a big city. We also really enjoy going with flow so we left room to explore and come up on what seemed like a good idea in the moment. More on that soon. Day 2 had only a few requirements for us. 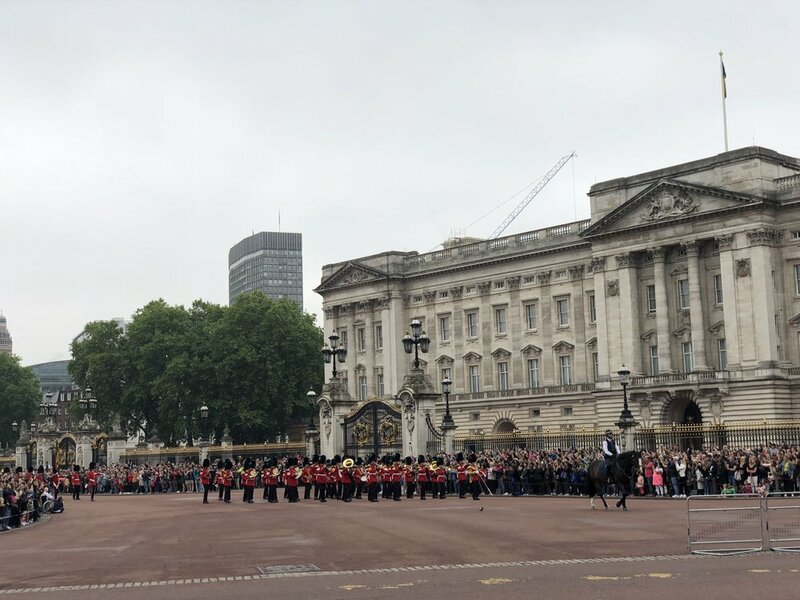 One was to go to Buckingham Palace in time to see the changing of the guards (you can look up the day’s schedule online.) We didn’t arrive super early as some other onlookers had so we were pretty far from the action but it was still really cool! We then walked around Hyde Park bit and made our way over toward my favorite shopping area…and where Harrod’s is. Harrod’s is simply…amazing. A dream PALACE of high-end shopping. I will never forget wandering around this gorgeous place drooling over the world’s finest goods. After Harrod’s came Westminster Abbey, but true to Liberty and Ryan style, we did not wait in the long lines to go in, we simply admired from outside and continued our strolling through the iconic city. By early afternoon it was already time to head back to our apartment to get ready for an early dinner and a show. 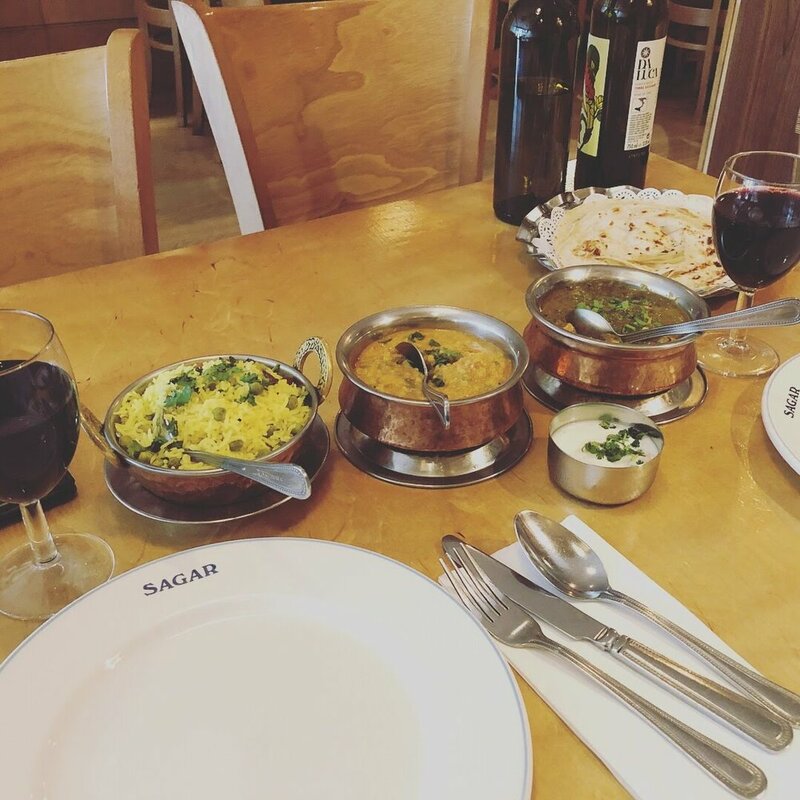 We had great tickets booked for Book of Mormon at the Price of Wales Theatre in London’s West End, and found a perfect Indian restaurant called Sagar nearby to enjoy before the musical. 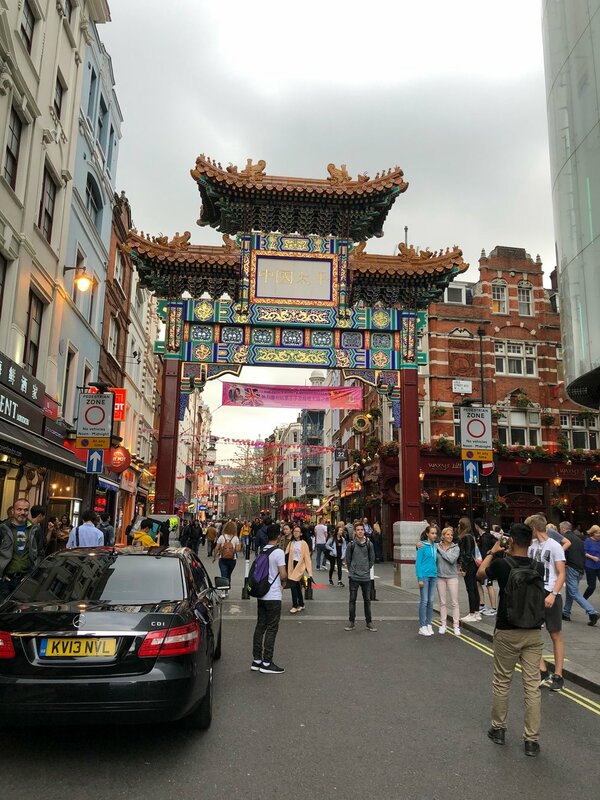 We did manage to take a quick walk through Chinatown while we were at it and decided that on our next trip to London we would spend more time experiencing these super-cool cultural hubs that make cities like London so special. As it turns out Sagar was AWESOME but not as awesome as Book of Mormon. Fabulously done and a perfect evening all around. 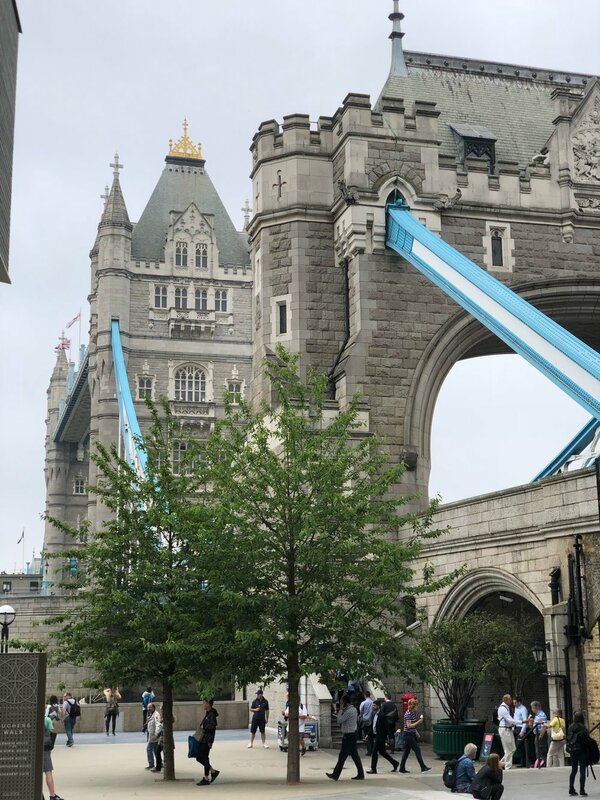 The next morning our goal was to visit the newer skyscrapers as well as the oldest parts of London such as the Tower Bridge, London Bridge, and one of my favorites, the Tower of London. Ryan and I rarely go to museums, it’s honestly not our thing, but we knew that the Tower of London would intrigue us both. I had been there as a kid with my mom, and the stories and history there would be worth the ticket price. It was and then some! We spent hours at the Tower of London and recommend it highly. It is so rich in history of the royalty in England. There’s also a very dark side to that history that intrigues every visitor on the tours. 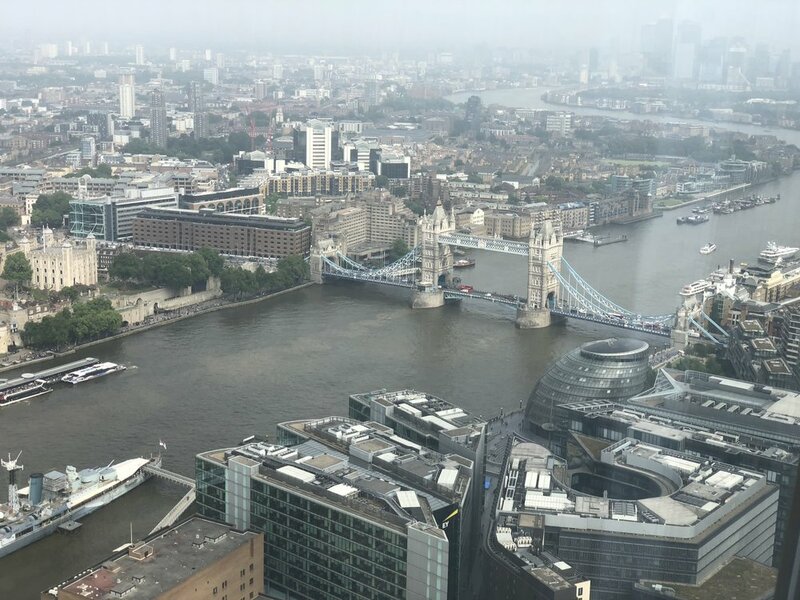 I found some of the views from the Tower of London to be some of the best in the entire city, with the juxtaposition of new and old very clear, very cool. 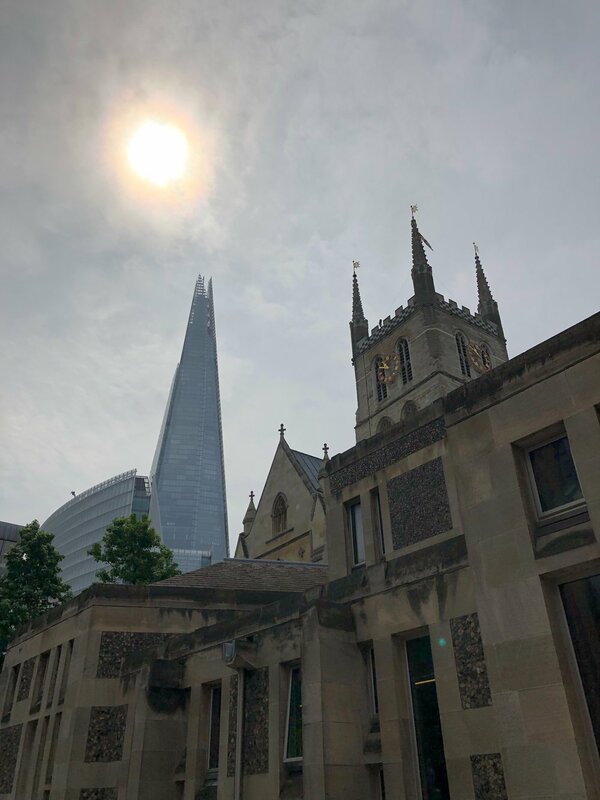 We couldn’t help but keep noticing the striking Shard building in the distance and even though we had walked by it earlier and admired it, there was something calling to us to go back. As we discussed it, our cousin Nick texted us and said that we MUST go to the Shard and have drinks at the top. When we stopped by we had been told that it was $30 per person to go to the viewing deck that wasn’t even the very top. 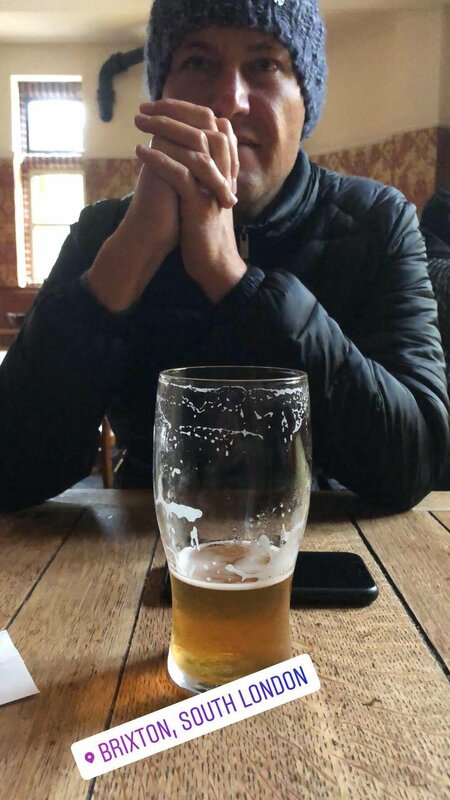 We hadn’t even thought about just going for a drink. We added that to our Google Mapping and trekked back, passing some of the coolest skyscrapers in the world. 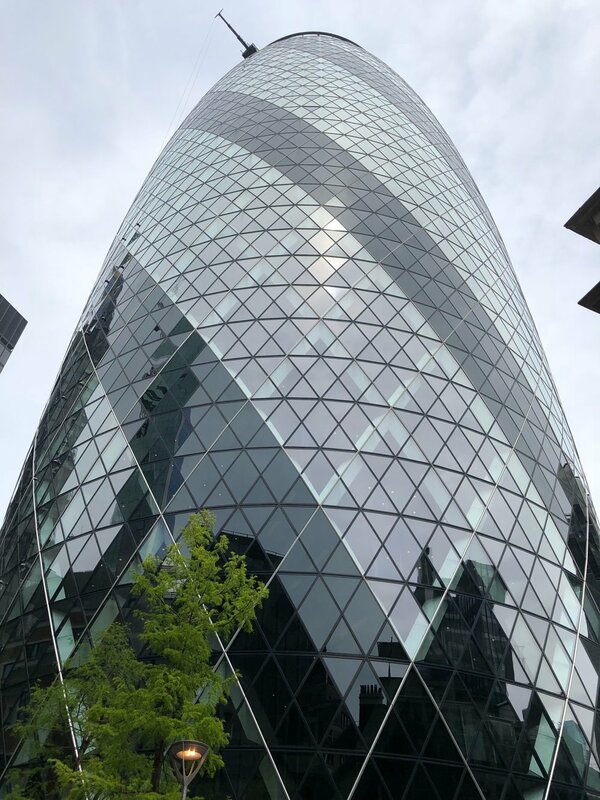 The “Walkie-talkie” building, The Gherkin building, and finally, we found ourselves back at the Shard. The Shard is a 95 story spike of a building, referred to as such because it literally looks like a shard of glass sticking straight up into the clouds. We asked the doormen if there was a bar near the top and lo and behold, as part of the Shangri-La hotel there was indeed, The Gong Bar, and we could right now (no charge!) Now once up there, the drinks are pricey but the view and experience is certainly worth it! That afternoon turned out to be one of our very favorites! The views are insane and service impeccable. Thanks to our cousin Nick we had an experience that we will never forget and highly recommend it to anyone visiting London. A word of warning, you are at the top a shard. Like…literally. When we got off the elevator almost 100 stories in the air and realized just how narrow it was and where we were it took a few minutes to acclimate. Don’t worry, it gets better as each minute passes! After the Shard we knew not much would top it, but we found our way to Camden, where we heard the street markets were wonderful. They did not disappoint! Everything from food from all over the world, to knock-off designer bags can be found and there are street musicians of all kind to keep you entertained. 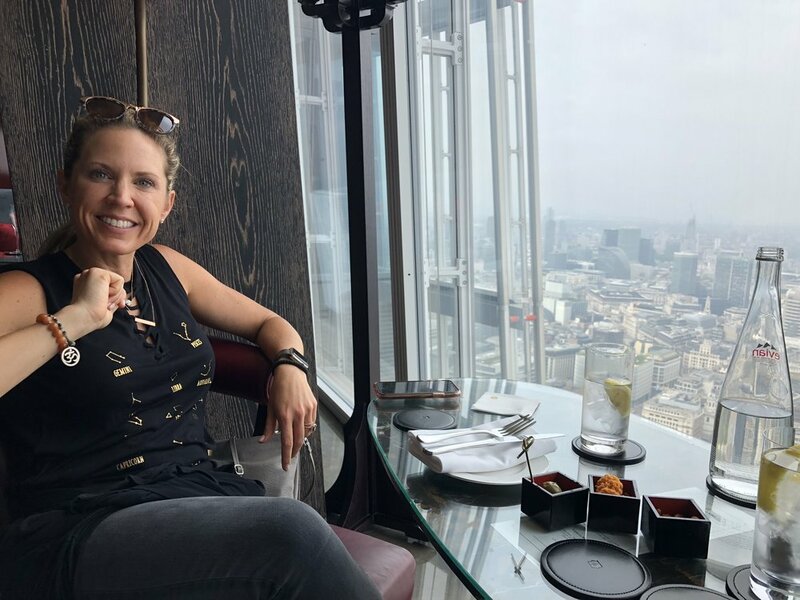 We found a few knickknacks, grabbed a quick bite then decided that our last stop would be Piccadilly Circus, the Times Square of London. It’s definitely not as light, bright and loud as Times Square, but there is much to see and do. 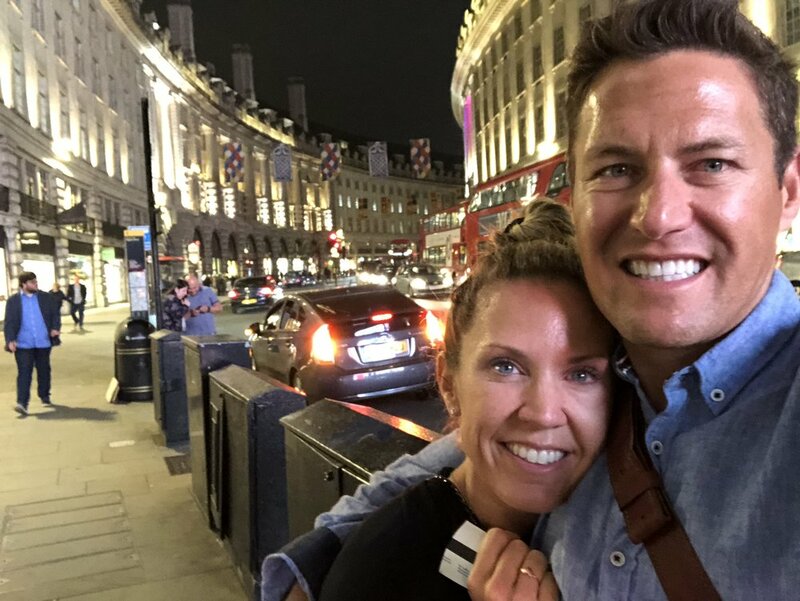 That was our last night in London, and had a VERY early flight the next morning to catch back home. We opted for an Uber ride to the airport just as we had when we arrived from the airport although we could have taken the Underground, it just made us a bit less nervous to know we were going directly there. We did use the Underground quite a bit to get around the city, coupled with walking and found it easy and clean overall. London is a wonderful, clean and beautiful city that encourages tourism and invites people from all over the world to explore its corners. The fact that it’s English-speaking is also helpful. There is SO MUCH to see. Plan each day ahead of time so you can be sure to make the best use of your time. There is ALWAYS traffic and it’s crazy. Use the Underground. It’s so inexpensive, clean and easy for getting around the city. Walk when you are not using the train system, get in the exercise and explore! Leave time for running into things you don’t plan on and be flexible. We never would have experienced our favorite part of the trip without this flexibility. 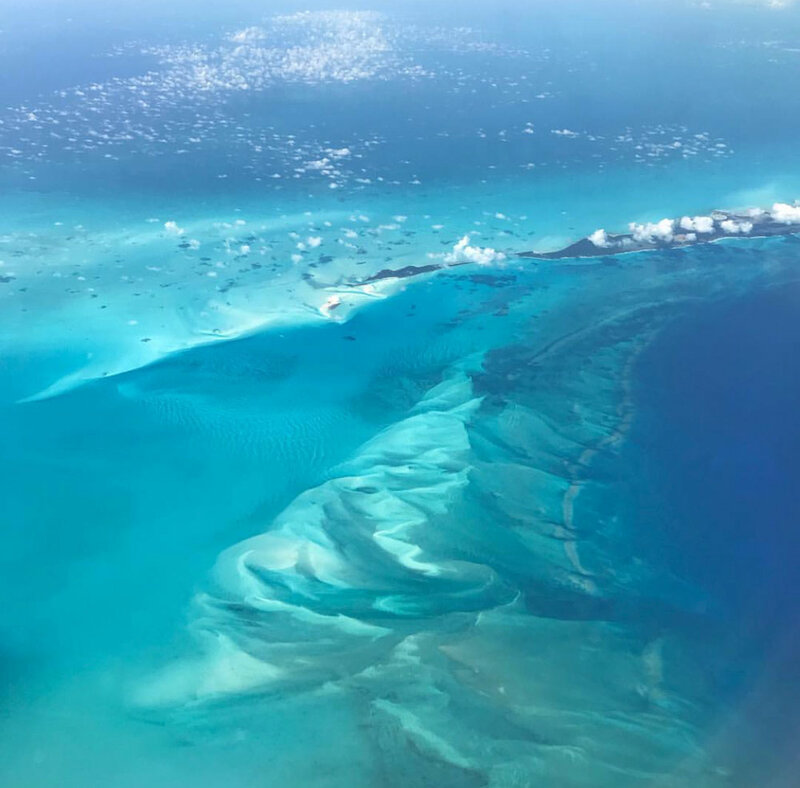 From the moment our plane was over the Caribbean sea we knew we had found paradise. Days after returning home we are still reeling from the beauty of the pristine beaches and national parks, to the clear blue-green sapphire waters of each and every bay. Our trip to the Virgin Islands was not a last-minute plan as many of our trips have been. It was devised over nine months ago...at a bar...with our best friends...randomly. But in advance no less. Needless to say we were looking extremely forward to this week away with friends. If you live on the west coast of the US, getting to the Virgin Islands is a long haul. 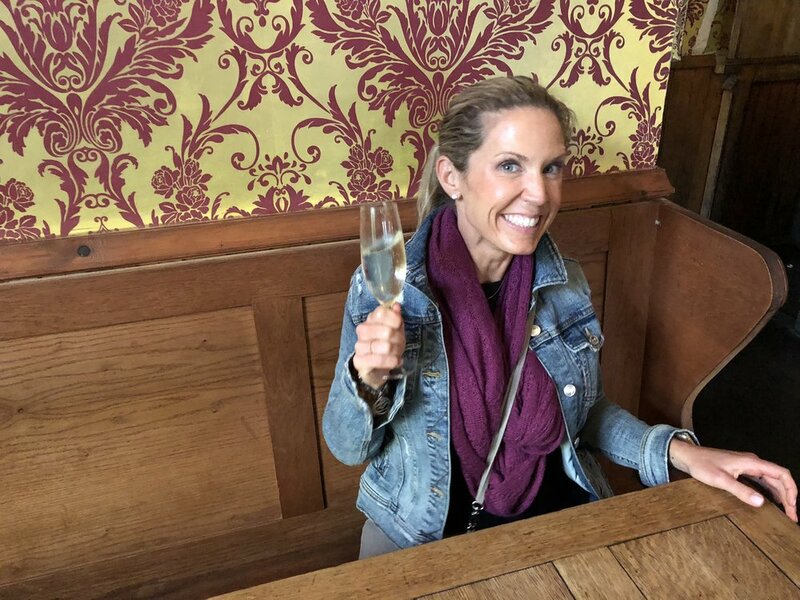 We booked through American Airlines at a fantastic fare due to our super early planning, but we travelled for pretty much an entire day when all was said and done. Gotta be honest though...totally and completely worth it. After the lengthy travel, including an overnight flight which certainly does help with passing the time (better to sleep away those plane hours than just sit there!) we landed on St. Thomas. Our friends, Jessica and Bryan, had been there before so it was nice they had the lay of the land already with some idea of the better things to do, but if you are a Virgin Islands virgin like me and Ryan, do not fret, it is SO easy to get around because everything is very simple and small. First and foremost, please remember that these magical islands were very recently crushed in not one, but two horrific hurricanes just one year ago. Oh yeah, did I mention we braved hurricane season with our trip’s timing? It wasn’t by chance we scored such low airfare and an extremely reasonable AirBnB. Between September and May the Caribbean is under hurricane watch and the risk is very real for a tropical storm or worse. This is slow season for the islands and you’ll either love it or loathe the quiet around the islands. We happened to love the lack of tourists and quiet. In any case, Hurricanes Irma and Maria tore across the Caribbean causing devastation like never before in 2017. You can still clearly see evidence of the horrific storms, but the Virgin Islands have been diligent in getting back on track for tourists to return. Our first realization of the damage was our AirBnB host driving us to our rental car location only to arrive with confusion that the building was defaced with no roof. “I guess they have moved,” he chuckled and quickly Googled the new temporary location. He said that it was the norm on the island, with many roofs still unhinged, complete buildings in disrepair and boarded, yet with hope and hard work the rebuilding continues and there is certainly plenty left to do and see as well as appreciate there. Our rolling of the dice proved lucky this time around, and the only storms we experienced were either overnight or very short, enough to cool the air a bit and they were actually beautiful. There is something so special and different about the clouds in the Caribbean and we could not get over the beauty of the sky, and how it seemed Mother Nature was constantly painting new more beautiful scenery for us every moment. Renting a car is a MUST for St. Thomas, and even St. John, we couldn’t imagine having to rely on cabs to get everywhere, or the fares that would quickly add up. Our weekly total was $400, split between two couples it was certainly reasonable. Heads up you need to be brave - you drive on the left side of the road in the Virgin Islands, in vehicles that have left side stering. There are very beautiful hotels on the island, but also plenty of less expensive AirBnB options that give you the comfort of home, a way to make your own meals, as well as much more space. We really lucked out with our house and as you can see it had a view that was more than we could dream about, completely separate bedrooms for privacy and a great shared space with an adorable living room and kitchen. The first day was Bryan’s birthday and his request was a home cooked meal. Jessica did her research and found the most incredible local chef (Ashley King) to prepare a multi-course meal complete with fabulous perfectly-paired drinks for the night...at our own house. With the patio table we could not believe how perfect the setting was for this special evening of celebrating our first night on vacation plus Bryan’s birthday. Email Ashley at ashleyinthevi@hotmail.com. This is a HIGHLY RECOMMENDED splurge for your stay. You will not regret it...the food, Ashley’s company as a skilled and professional chef and host, the drinks, definitely do this if you have a chance. The next morning we all agreed that mostly sticking to St. Thomas should be our plan, with a one day excursion to St. John to check out the national parks, beaches and additional snorkeling. To make it easier to check off your boxes of what fits best for your perfect Virgin Islands trip, here are our highlights of each island. Our AirBnB was a couple of minutes by car from Hull Bay. 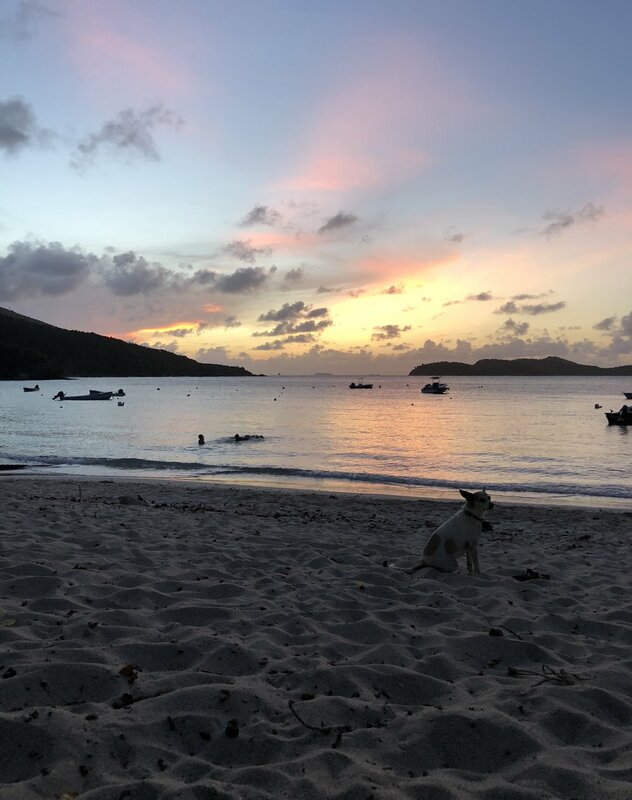 We could not ask for a more chill, beautiful place complete with snorkel/kayak/surf rentals, a tiny beach bar and a quaint restaurant with the BEST BBQ at Hull Bay Hideaway on the weekends you can find anywhere. Most of our beach time was spent here not only due to the proximity to where we were staying, but because it was literally perfect. The few people we did see were mostly locals, some very friendly dogs, and one pig who couldn’t be happier in the water or on the sand. We kayaked, snorkeled and relaxed. This was the place where we realized that off-season was the way to go and the ease of getting around, the relaxed attitude of the locals and the lightly attended restaurants were...well, they were the bomb. One night we stayed from afternoon until night, through the sunset and into dinner. It was just too beautiful and perfect to do anything else. Jessica and Bryan had warned us that we’d mostly want to avoid the town since once cruise ships rolled up it would be packed with tourists and higher than normal prices. We checked the cruise ship times and made sure to go when they were not in port and it was awesome! Many shops are still closed due to the hurricanes, but those who were open were eager to welcome us. 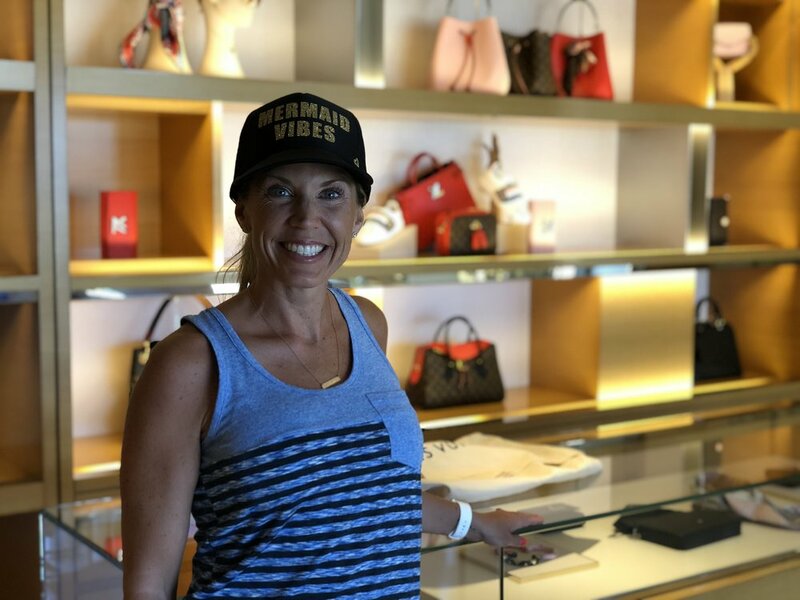 We found everything from high-end brands like Louis Vuitton and jewelry stores with $30k watches, to little swap meet style vendors and everything in between. The enticing part about shopping in the Virgin Islands? No sales tax! We dined a few times at restaurants in the town and everything was great. Since we had a kitchen we stocked up a few times during the week on groceries. After a few tries of different spots we found Food Center to be the best. Not necessarily in value (prices are generally higher in the islands for food because of the fact that they have to ship in the products) but the selection and quality. Everything you need and then some can be found. Great snorkeling and sea turtles as well. Definitely a locals beach and a bit more crowded than other spots (but crowded seems funny to say because it was still not busy at all). It’s pretty cool to be here watching the planes take off and land at the airport since it’s literally next door. Easy to get in and out of and there was also a food truck that we didn’t have the chance to try out, but it smelled delicious. High Tide offers an awesome little restaurant that had a wonderful (huge) breakfast. The breakfast quesadilla is definitely enough to share and it will keep you full for hours of snorkeling on the other side of the island that has no restaurants or food. Sounds strange, but this was a highlight! The wonderful staff member guided us based on what we wanted to do for the day, and we never would have made the most of every minute without her help. She had perfect suggestions about where to go and how to get there. On the edge of the protected national reserve is a gorgeous outlook and sugar mill ruins from hundreds of years ago. There was literally NO ONE else there as we walked around and explored, and nothing seems to be off-limits for checking out while you are there. Picture perfect and reading about the history was so interesting! Sea turtles galore! Great snorkeling, barely anyone on the beach, and perfect, soft white sand against the most incredibly colored yet clear water ever. We spent most of our beach time here and fell in love with the surroundings. We ended our snorkeling and beach time at Trunk Bay since we learned from the Visitor’s Center that there were showers here. It was more windy though, and the water happened to be cloudier (just based on the current weather, we heard this was not typical,) but we still loved it. There was much less shade here as a heads up, and the sun was beating down by the mid-afternoon time that we ended up at Trunk Bay. It was a great end to our sunshine and snorkel time though. We were all craving a cold beer and The Tap Room had a fantastic selection of local beers to curb that craving before we headed back to St Thomas on the car ferry. 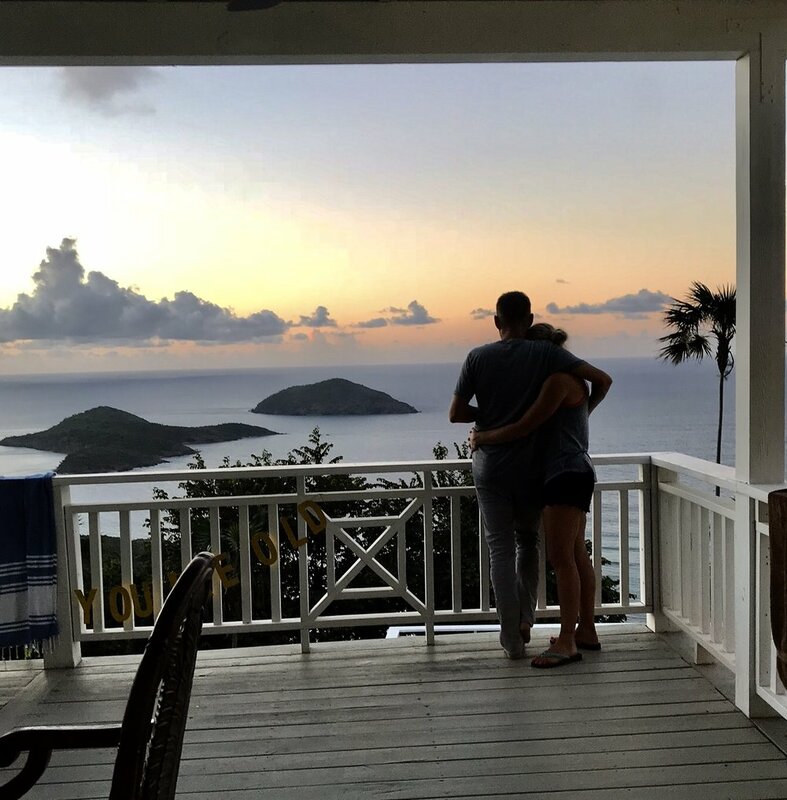 Overall this was a perfect getaway for two couples to just chill, enjoy ridiculously gorgeous scenery and spend some time in the warm waters of the Caribbean. We did manage to squeeze in some workouts although beware that especially if you stay in a home on St Thomas there are no gyms...our hilly driveway, outdoor house steps, patio and hill next to the house proved to be a great way to get in some steps and calorie burning, but the hot temperatures and crazy high humidity make it much more difficult than usual. (Running on streets is impossible as the roads are narrow, cars drive fast and it did not feel safe to consider). We also experienced many...many...many mosquito bites. Even after dousing in bug spray as much as possible, the pesky bugs managed to bite us all. A lot. Roaches are clearly a typical resident in the Virgin islands as are wild chickens. You’ll also want to scour the rocks and hillsides for very large iguanas, and at night coqui frogs will lull you to sleep alongside their cute little lizard buddies.